right components from this pool to build an architecture that meets the analytics needs of an organisation? What are the key decisions? 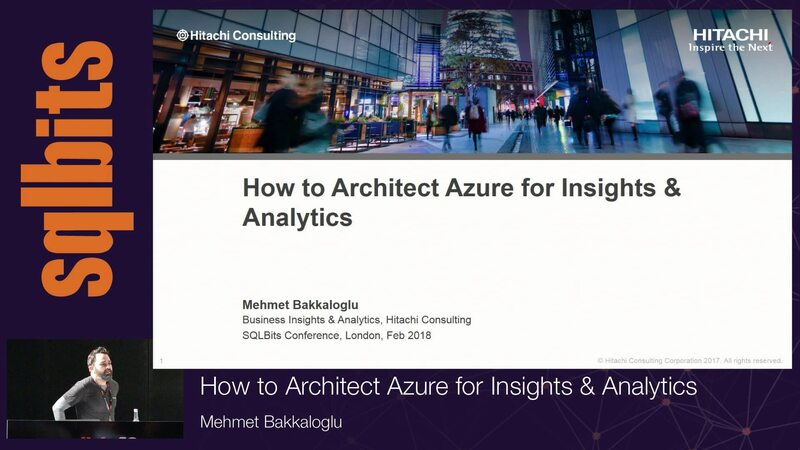 Starting from discussing the evolution of the Azure Architecture for an organisation over the course of 2 years, and based on experiences with other clients, we will review pros & cons of alternatives, examine specifically data storage, orchestration, real-time analytics, environment setup options.